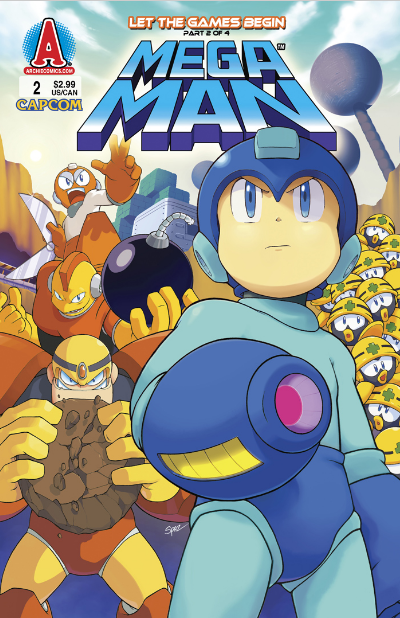 The very first trade paperback collection of the Archie Mega Man comics is a wild trip down memory lane for fans of the classic video game series, as well as a great starting point for a new comic book franchise. 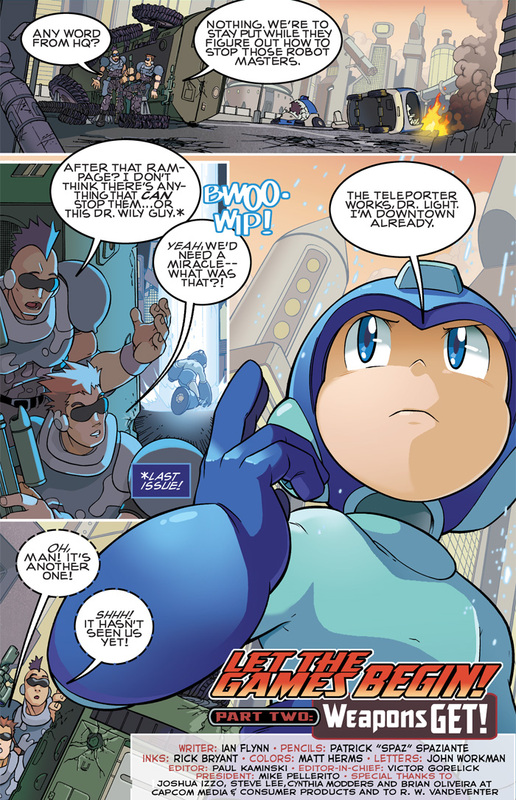 The Blue Bomber goes from being a simple helper robot to the savior of the city in the not too distant future of 200X. 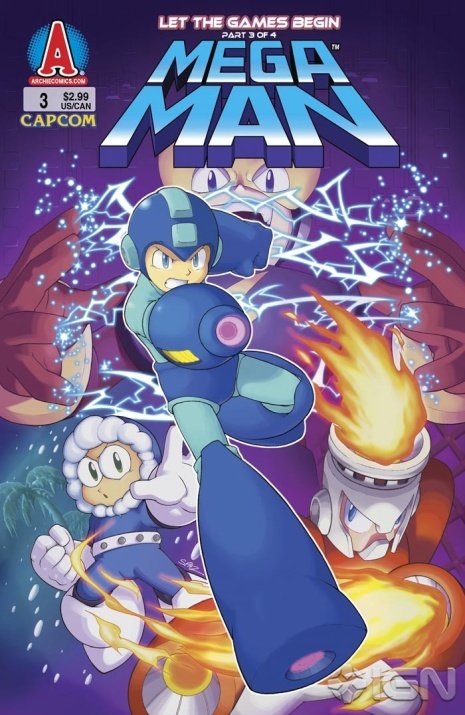 Gorgeous colors and animation combine with intense action taken directly from the video game series to create a comic that fans of Mega Man and video games in general will enjoy. Dr. Light, the revered robotics engineer, has just given a speech detailing his newest robotic creations, the Robot Masters. Built to aid mankind, the Robot Masters are powerful androids that can withstand harsh work conditions and give humans a break from the dangers of extreme physical labor. The future is looking bright for everyone, robots and humans, until the spiteful Dr. Wily turns the six Robot Masters against humanity, causing mass destruction and damages across the city. With no other options, Dr. Light decides to use his child-like robot Rock as a weapon to defeat Dr. Wily. Donning his iconic blue armor and copying abilities, Rock becomes Mega Man for the very first time, and he’s ready to stop Dr. Wily’s plans for good! – Dr. Light equips Mega Man with the Mega Buster, the arm cannon used to fire shots. He also says the Mega Buster “can hold a charge to pack more punch,” suggesting that Mega Man can charge his shots. Mega Man doesn’t gain the ability to charge shots until Mega Man IV, but the plot and characters in this issue are all from Mega Man I. 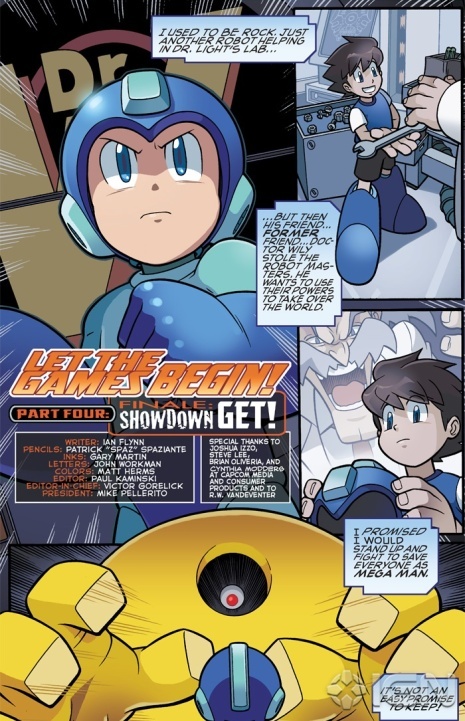 Rock takes on his first mission as the evil robot bashing Mega Man. Traveling to an excavation site to battle Bomb Man proves challenging enough with reprogrammed robots out to get Mega Man, but that’s the least of Mega Man’s troubles. Add on a battle with Guts Man and scuffle with Cut Man and you’ve got a rough outing indeed. 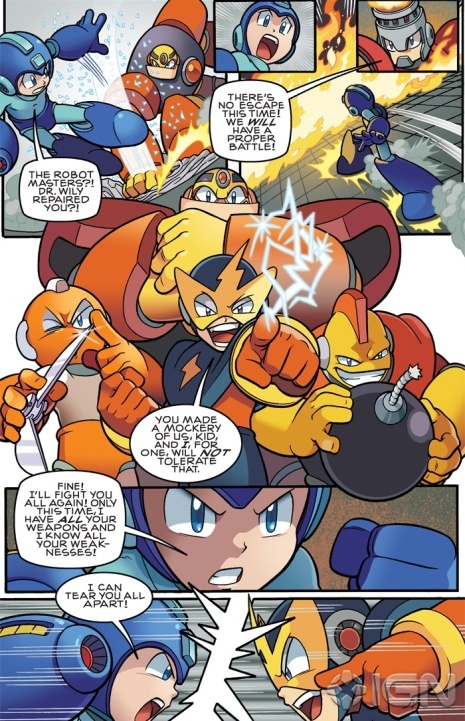 Rock was a helpful house bot, but Mega Man is a robot buster. Rock battles with his role shift throughout, struggling to come to terms with destroying other robots, even if they are evil. 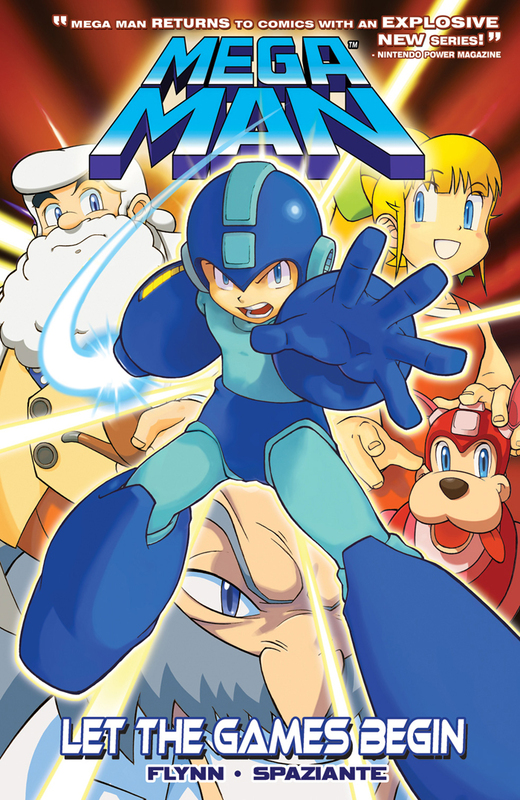 Mega Man takes on the remaining three Robot Masters; Elec Man, Ice Man, and Fire Man. 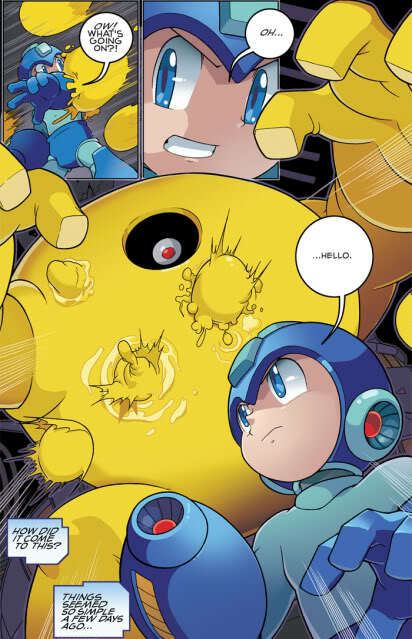 But the real battle this time around is with himself, as Mega Man nearly goes mad with power! Dr. Light and Roll intervene and bring Rock back to his senses, while also locating the fortress Dr. Wily is hiding away in. With weapons in hand and energy fully recharged, Mega Man prepares to enter Dr. Wily’s fortress. 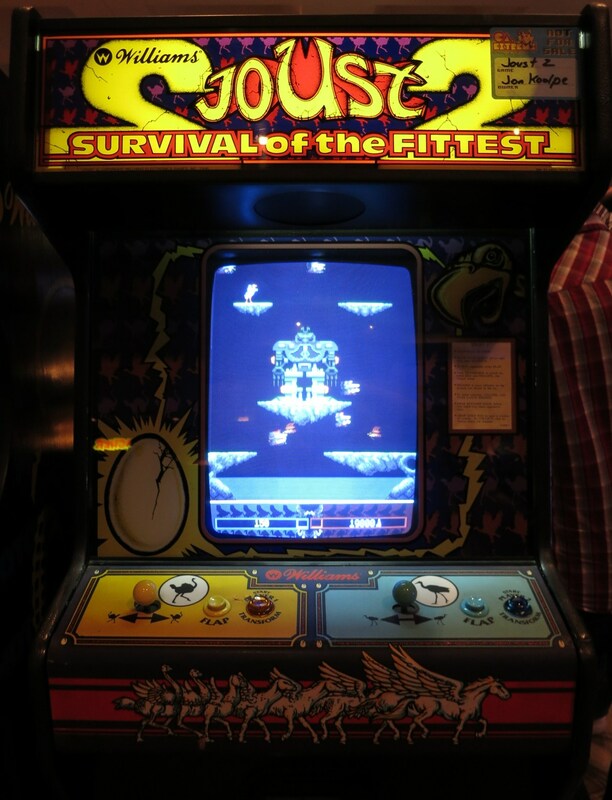 It’s on to Dr. Wily’s fortress to stop the maniacal doctor for good. Mega Man took care of each Robot Master one-on-one quite handily, but how will he fare when battling all six Robot Masters at once? 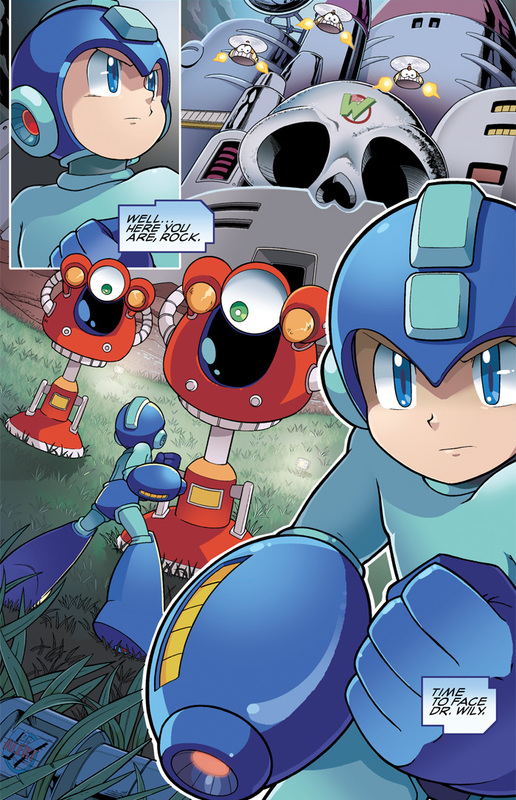 And if that’s not enough, there’s an evil clone version of Mega Man causing havoc as well. 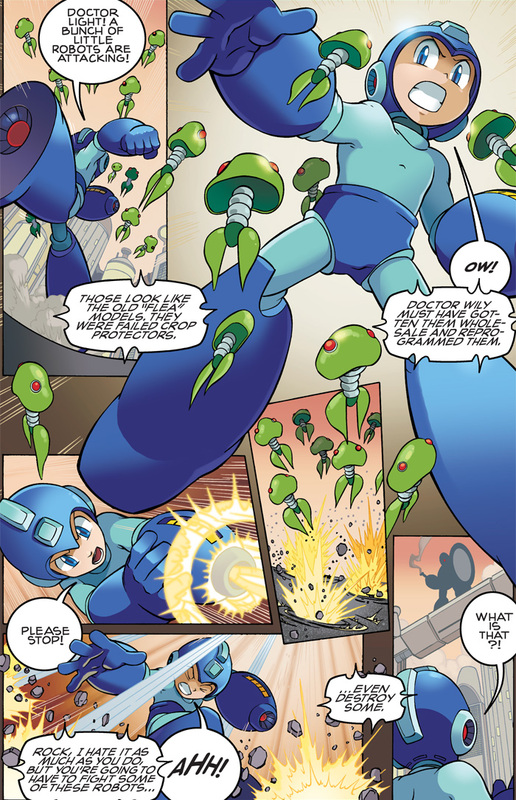 Wily has surrounded himself with defenses that will test Mega Man’s skills to the extreme, but with the world hanging in the balance, he must prevail! 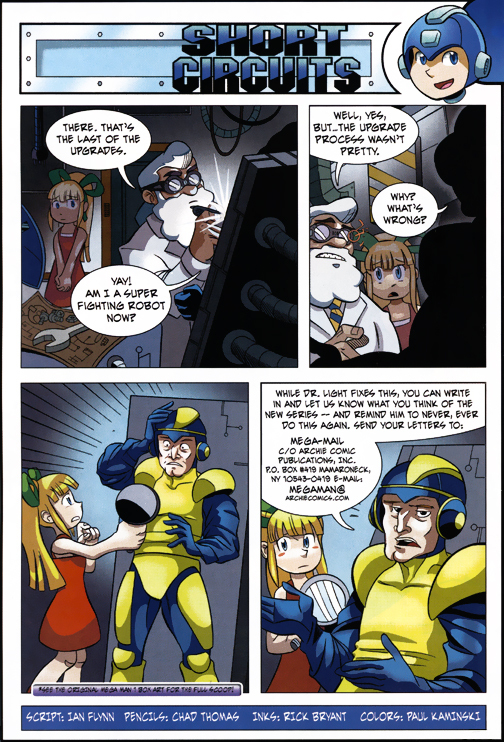 Issue #1: Dr. Light “improves” Mega Man’s powers, but the upgrade comes at a cost. 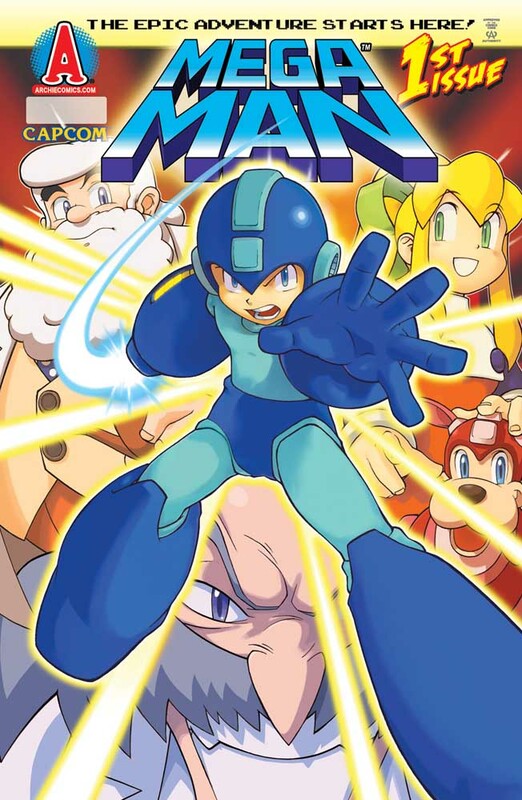 Now Mega Man looks like Mega Man seen in the North American box art of the NES game Mega Man. Mega Man also asks Dr. Light if he’s now a “super fighting robot,” referencing the theme song to the Saturday morning cartoon series. 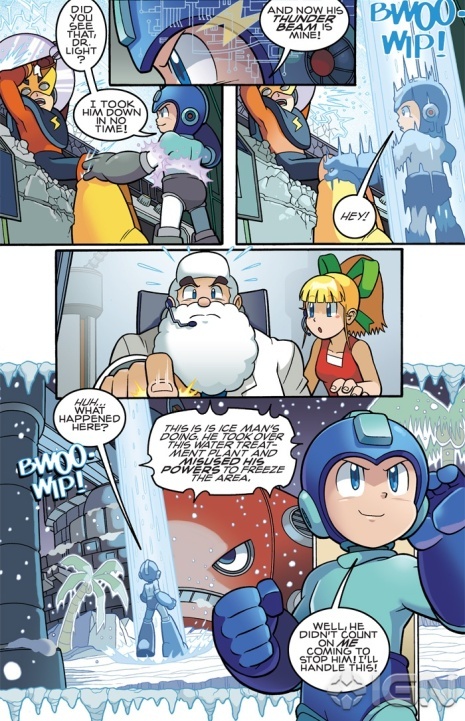 Issue #2: Dr. Wily is using Cut Man’s expertise to trim the hedges and act as barber. Issue #3: Mega Man apologizes to Roll, but Roll fantasizes what she would do with all of that power. The results aren’t good. 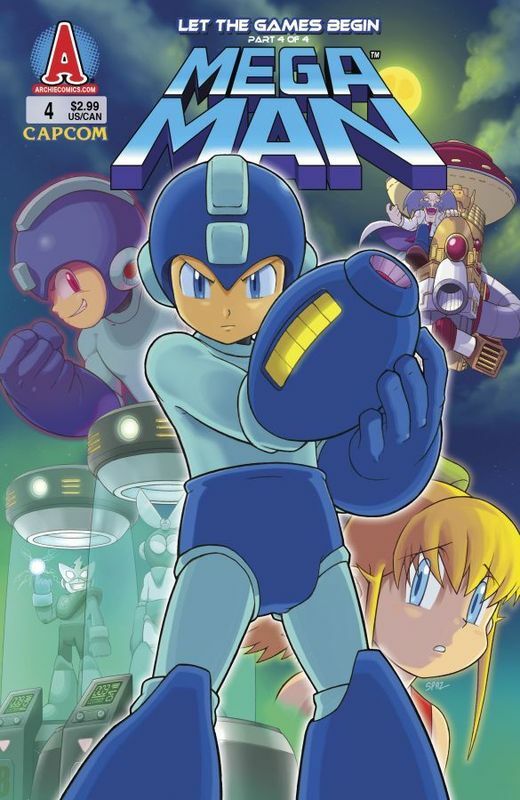 Mega Man Volume 1: Let the Games Begin is a fantastic entry point for the series, and is a strong first adventure for the Blue Bomber! The four issues collected in this arc tell a story with strong ties to the first game, which is spectacular in itself considering there was little to no story in the actual NES video game. Gorgeous animation and clever writing make the comics enjoyable to read and a real pleasure to look at. 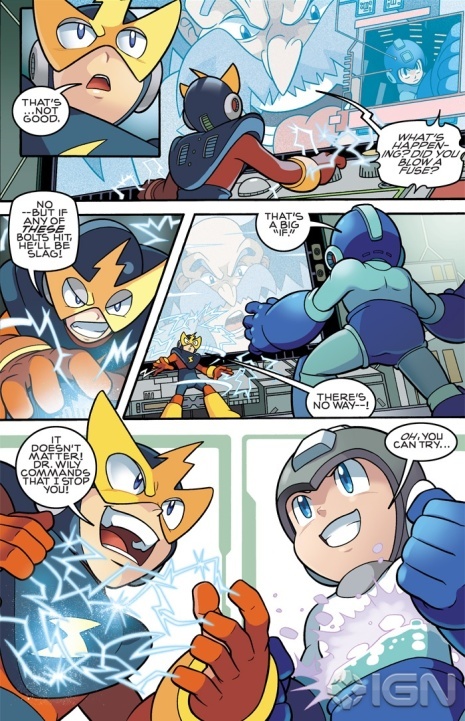 With enough in-jokes and game nods to please every Mega Man fan, the Archie comic series is the perfect example of taking a video game series and translating it accurately to a new medium. Buy Volume 1 from Amazon and start reading today!